The Morley businesses form an important part of Lodsworth’s history. James Morley kept the George and Dragon public house (now the Halfway Bridge Inn) at Halfway Bridge before moving to Lodsbridge. The family lived in the Mill House and ran the mill as a water mill until floods carried the barrage away in the late 1920s. They then installed a large petrol engine to run the machinery and continue milling which they did until the 1940s. The water wheel was cut up for wartime metal salvage. They built up a considerable business enterprise, largely based on timber and chestnut fencing. 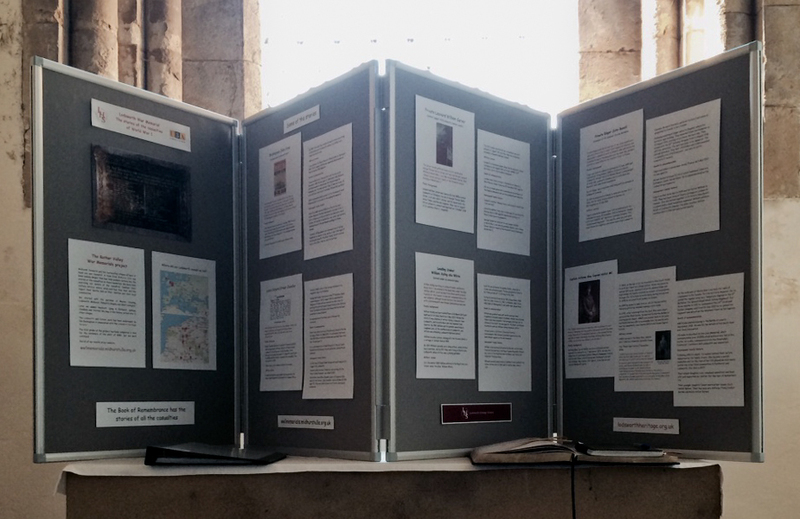 At their peak they employed nearly 100 staff in Lodsworth parish. They had a fleet of lorries for general haulage work. The yard and outbuildings of the mill were used to stable and maintain the lorry fleet. “In house” 90v DC electricity was generated from here, mostly to light the house and office. Flooding was a frequent winter hazard. They collected milk from farms over a wide area to be taken to various dairies. Cattle transport was also a major feature, with trips on most days to markets in Guildford, Horsham, Pulborough, Chichester and Petersfield. In the 1950s there was much work transporting polo ponies. There was a coal round, supplied through Selham Station, which was also kept busy with regular loads of chestnut fencing. 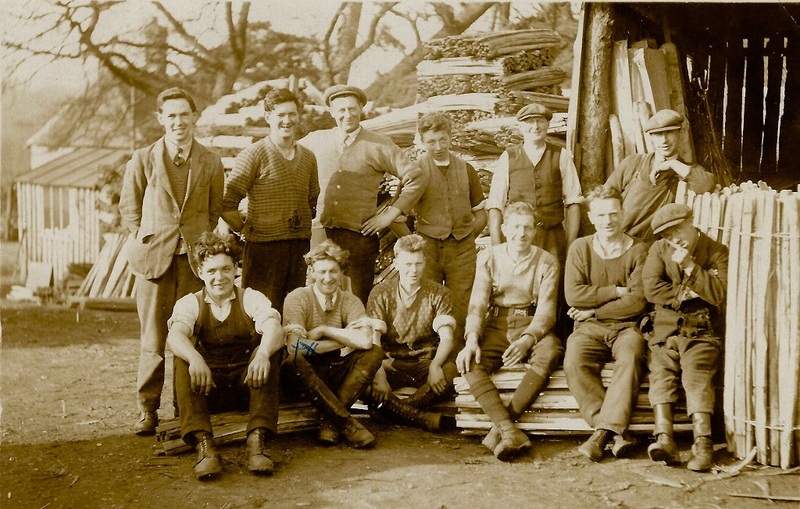 The sawmill moved to its present site in 1930s, to be joined by the remaining operations when the mill was sold in the 1960s. The circular saws were powered by a large stationary steam traction engine which was fed from off-cuts. This remained in use until the mill was burnt out in the 1970s and a new diesel engine was installed. The timber was drawn in by two large horses and only later by winch tractor. 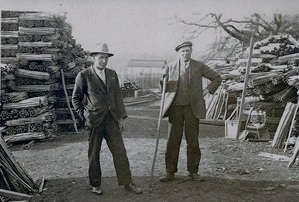 Chestnut fencing was an important mainstay of the business employing up to 20 men in the yard, with a similar number working in copses around the county. The out-workers spent all their lives in the open. They felled the mature chestnut plantations in the winter months, and cleft the wood into palings and stakes during the summer. A considerable plantation on Blackdown was bought after the war to supplement the seasonal purchases from all over Sussex, as far afield as East Grinstead. Much of it came from the Cowdray and Goodwood estates. During the war production switched to making tank tracking which was mostly used in North Africa. After the war there was a boom in demand with the construction of new houses and new towns. Chestnut fencing was cheap and easy to install. The manufacture was carried out on the original mill site in sheds south of the motte. Trainloads went out most days from Selham Station where the return trade was incoming coal. In Lodsworth itself the business also owned and ran the wheelwrights shop and adjoining forge. Gradually this moved over to the manufacture of sheds and equipment for farmers. 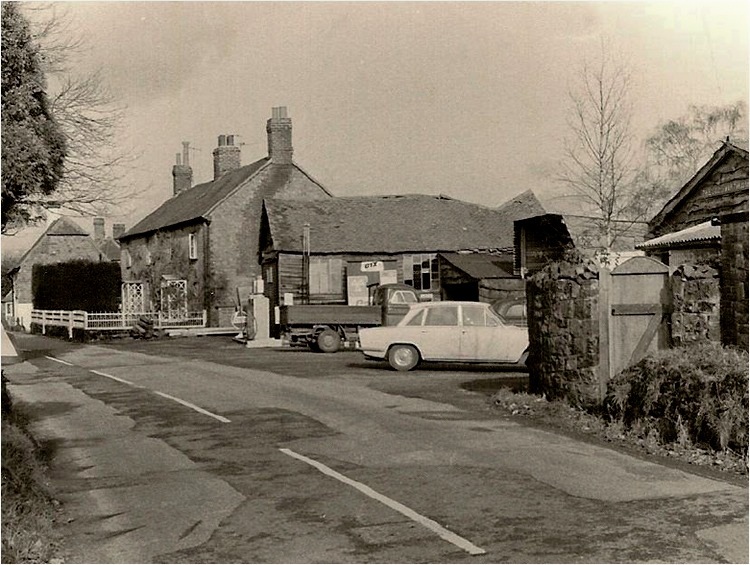 Lodsworth Garage was established next door, using the staff who had previously worked on the lorries at the Mill. This operated as a free-standing business, originally run by Cecil Boxall, with Tom Morley, Clem Morley and Will Kingshott as directors. It became the sole retailer of petrol once the Post Office and then the village stores gave up their franchises. After the retirement of Cecil Boxall, Roger Kingshott ran the business until his early death in 1980. The business was subsequently sold and moved to Lickfold. The whole area is now covered by modern housing erected in the 1970s and later. For many years the business also ran the small farm at Halfway Bridge which was rented from the Cowdray Estate. The farmyard buildings are now incorporated into the Halfway Bridge Inn, in some ways completing the circle from the days when the pub was run by the Morley family. Clem and Tom ran the business after the death of father James; Fred worked on the railways; Albert was a builder who built a row of houses on the Selham Road at Halfway Bridge; sister Ada Blake lived at The Nore on the Selham Road; and William was a Titanic victim aged 34 and is commemorated by a memorial stone in Lodsworth new churchyard. In 1936 Clem Morley moved to a new house at Fernbank Nursery on the east side of The Street. This continued as a separate business into the 1950s. Tom lived in one of the house built by his brother Albert on the Selham Road at Halfway Bridge. The mill house became home to Will Kingshott and his family until 1955. The business continued after the retirement and then deaths of Tom and Clem Morley, run by Will Kingshott. It was finally sold in 1979 and subsumed into the W L West business which relocated from Midhurst.